Grand Dial Communications offers full service hosting solutions to meet any business need. Our hosting platforms are Microsoft based and allow robust deployments with support for many of the available web standards including (ASP.NET, ASP, Perl PHP, CGI-BIN). 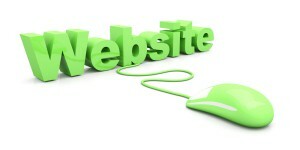 We offer additional services for website design and application development. You may have started out with a basic, get me up and running site, or you may be at the point where you now need to access additional elements such as contact forms, e-commerce, content rotators, streaming media and subscriptions. No matter what your needs, we have options to fill them. Our hosting platforms leverage the latest in virtualized system platforms allowing us to scale quickly to meet our new and existing customers' changing needs. Our shared and dedicated options allow us to tailor the options to best suit your organizational needs. Contact us at (616) 776-1066 to discuss your hosted website needs.